While many professional occupations require a very specific 4-year degree, many sales positions require no degree at all. That said, there are several sales industries, including the pharmaceutical industry that nearly always requires at least a 4-year degree. A very common question that job seekers, searching for a job in the sales industry asks is whether or not they need a degree for a career in sales. As mentioned above, not all sales positions require that a job candidate have a 4-year college degree. However, having a degree on your resume can separate you from other job candidates when applying for a position that does not require a degree. Having a degree tells a hiring manager that you are serious about learning and probably will be better at learning critical skills that are required for the position. While the perception may not be true, having a college degree is often a sign of higher intelligence. Though position requirements vary in each industry, some sales positions typically do not require a college degree. Retail sales positions, for example, often do not require a college education. Retail sales positions are often entry-level positions that people just getting into sales cut their teeth learning the art of sales. Several entry-level B2B sales positions also do not require a college degree. 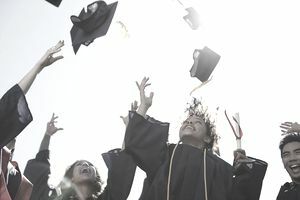 Examples of B2B sales positions that a college degree is not required include office supplies, some insurance sales positions, and several inside sales positions. Another industry that often does not require a college degree but does require industry-specific certifications is the IT Sales industry. Several sales professionals in the IT industry earned sales-centric IT certifications in lieu of a degree and have never regretted their decision. If you are seeking a sales positions and do not have a degree to add to your resume, there are a few things you can do to increase your chances of getting a higher level position than what you'd expect to be qualified for. One route is to earn a professional sales certification. The National Association of Sales Professionals, for example, offer a non-industry specific certification that looks great on a resume and shows a hiring manager that you are serious about sales and dedicated to the industry. Another option for non-degree holders is to attend specialized training events or programs. The more specific the event or training, the more impressed a hiring manager will be. Consult your local Chamber of Commerce to learn of any local sales training that you can attend and, of course, an Internet search will be certain to provide plenty of options for you to consider. Lastly, many hiring managers consider successful experience to be more important than an education. If you do not have a college degree and have an interest in earning one, make sure that you are a top performer in your current position. And if you are not in a sales position currently, then read some sales books, attend some sales seminars, hire a sales coach and learn everything you can about the industry that you wish to sell in. Passion is often a greater indicator of success than is education.